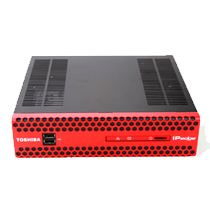 Toshiba’s IPedge EC server is an all IP system designed for ease of installation, use and maintenance. 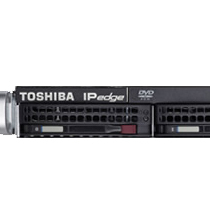 The IPedge EC system delivers big-company features at an affordable price for small businesses and branch locations. Like the other IPedge systems, the IPedge EC system performs call processing, voice mail, unified messaging, and media processing which includes conferencing and paging, centralized management, Call Manager unified communications, and more. 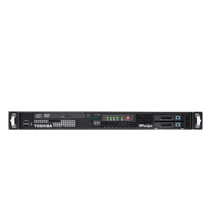 IPedge EC system uses Red Hat® Enterprise Linux® 5.4 operating system that provides a high level of scalability and security. Call Processing – IPedge provides the basic and advanced call processing features with a single IP interface. Unified Communications – Unified Communications is built in. IPedge includes Call Manager Standard for every user which provides call control features from a PC. The optional Call Manager Advanced upgrade includes Chat, Presence, Contacts and more. in the new IPedge Call Manager. The smart installation procedure will install CM or SCM based on which system the client connects to. The IPedge EP server can connect to a Luca or Lucas server to include Meet-me conferencing.